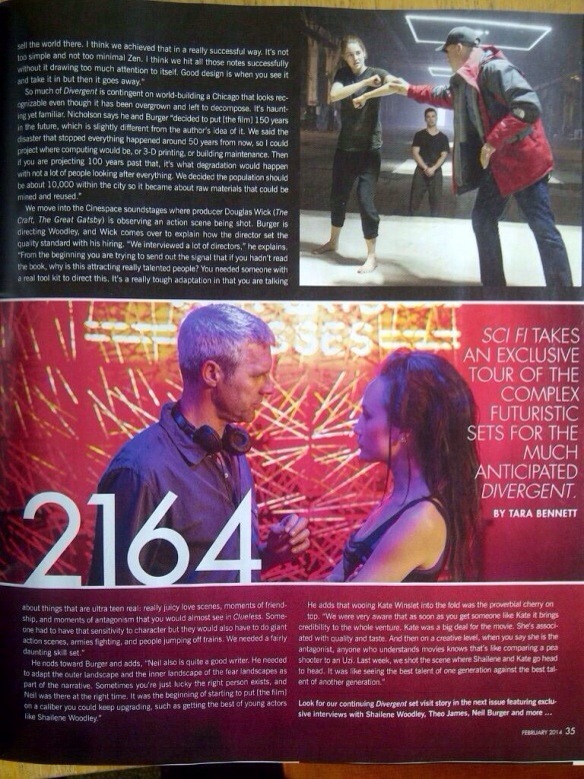 DIVERGENT Featured in Sci Fi Magazine! The release of the Divergent movie just keeps getting closer and closer. Divergent is featured in the most recent issue of Sci Fi Magazine. Thanks to @epnebelle we can see scans of the article that features Divergent. In the scans you can see director Neil Burger, Shailene Woodley (Tris) in what is the knife throwing scene, a photos of Tris fighting with Four in the background and another scan of Neil Burger along with Maggie Q (Tori). Categories: Divergent Movie, Divergent News, Four/Tobias, Maggie Q, Neil Burger, on Set, Shailene Woodley, Theo James, Tori, Tris | Tags: four, Maggie Q, Neil Burger, Sci Fi magazine, shailene woodley, theo james, tori, Tris | Permalink. 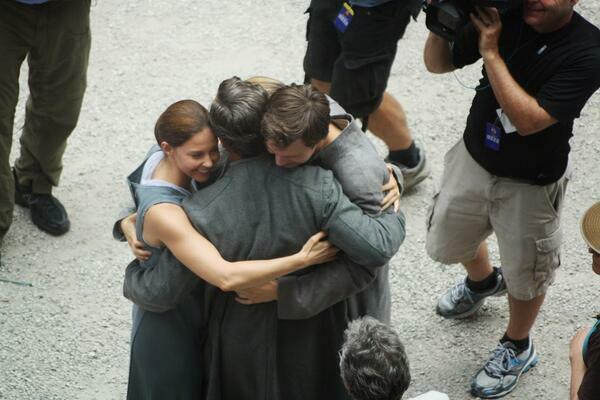 WATCH: Incredible 12 Minute Behind-The-Scenes Look at DIVERGENT Filming! 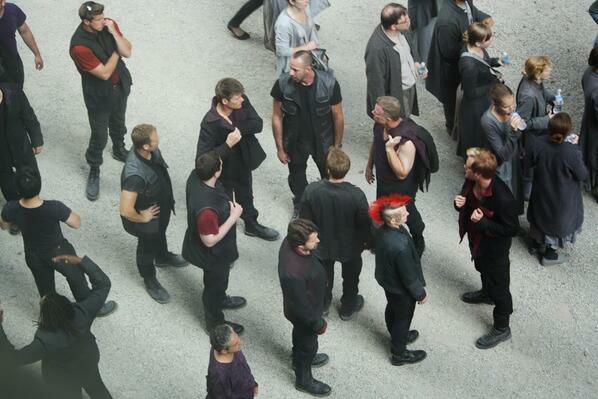 I know all of us Initiates have been dying to get a glimpse at the filming of Divergent. 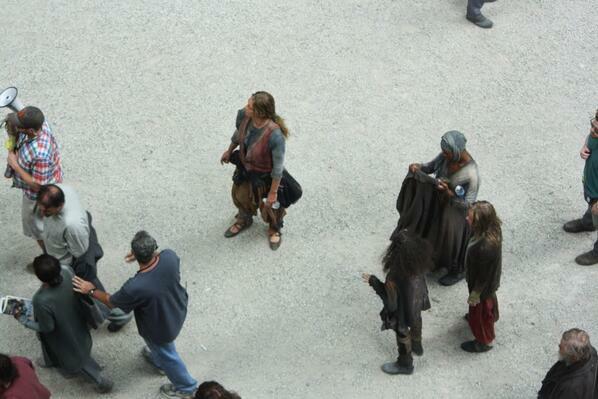 Well here is a 12 minute look at some behind the scenes filming of Divergent. 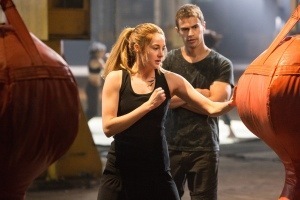 The behind the scenes footage includes Tris choosing her new name, ferris wheel scenes, training sessions, fight scenes, knife throwing scenes, and more. This video is a must watch for Divergent fans. This video seriously makes me way more excited to see the Divergent movie! Divergent will be in theaters and IMAX on March 21, 2014. Categories: Al, Amy Newbold, Andrew Prior, Ansel Elgort, Ben Lamb, Caleb Prior, Christian Madsen, Christina, Divergent Movie, Divergent News, Eric, Four/Tobias, Jai Courtney, Maggie Q, Marcus Eaton, Miles Teller, Molly, Neil Burger, on Set, Peter, Ray Stevenson, set videos, Shailene Woodley, Theo James, Tony Goldwyn, Tori, Tris, Zoe Kravitz | Tags: al, Amy Newbold, Andrew Prior, Ansel elgort, Ben Lamb, Caleb Prior, Christian Madsen, Christina, Dauntless, divergent movie, Eric, four, jai courtney, Maggie Q, Neil Burger, on set, set video, shailene woodley, theo james, Tony Goldwyn, tori, Tris, will, Zoe Kravitz | Permalink. WATCH THE DIVERGENT TEASER TRAILER NOW! On Thursday, MTV unveiled a tease of the Divergent trailer. Today our Tris, Tobias and Peter, Shailene Woodley, Theo James and Miles Teller debuted the teaser trailer on MTV’s VMAs Pre-Show. 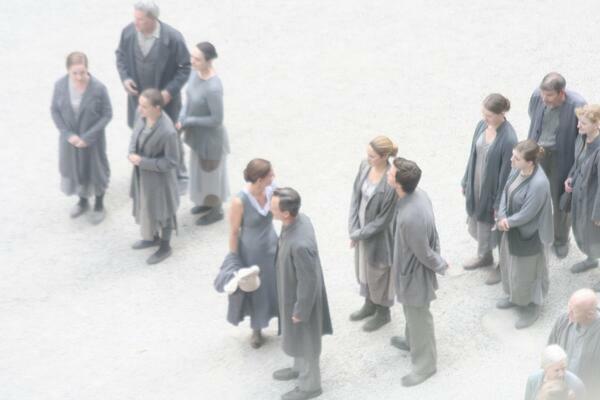 What are your thoughts Initiates?! Categories: Amy Newbold, Ansel Elgort, Ashley Judd, Ben Lamb, Ben Lloyd Hughes, Christian Madsen, Divergent Movie, Divergent News, Jai Courtney, Justine Wachsberger, Kate Winslet, Maggie Q, Mekhi Phifer, Miles Teller, on Set, Ray Stevenson, Shailene Woodley, Theo James, Tony Goldwyn, veronica roth, Zoe Kravitz | Tags: Amy Newbold, Ansel elgort, Ashley Judd, Ben Lamb, ben lloyd hughes, Christian Madsen, Divergent, divergent movie, jao Courtney, Justine Wachsberger, Kate Winslet, Maggie Q, mekhi Phifer, Miles Teller, Mtv, Neil Burger, shailene woodley, theo james, Tony Goldwyn, Veronica Roth, Zoe Kravitz | Permalink. 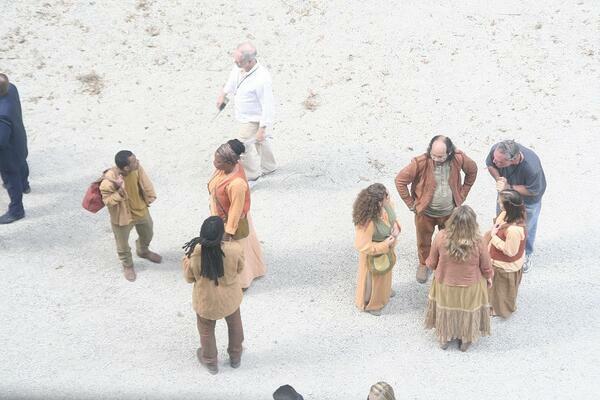 First look at Kate Winslet as Jeanine Matthews plus interview on the ‘DIVERGENT’ set! We haven’t had much news from Kate Winslet as Jeanine Matthews. USA Today has the first interview with Kate on the set of Divergent. Below is the very first look at Kate Winslet as Jeanine Matthews. CHICAGO — As Kate Winslet descends the stairs in the Hall of Choosing during a scene from the action-adventure tale Divergent, she carries a slim briefcase in front of her, which has multiple uses. Given that she’s wearing a sharp, lab-coat-inspired executive suit, the accessory further projects the image of a true leader as Winslet’s character serenely inspects the assembled masses. As soon as director Neil Burger yells “cut!,” Winslet employs the container for another use — as a fan on the stifling set of Seventeenth Church of Christ, Scientist, which has broken air conditioners. As she flaps, she reveals that the case also disguises a baby bump — she announced in early June that she’s having her third child, the first with husband Ned Rocknroll. Jeanine is the protector of a futuristic dystopian society based in Chicago, in which the population is divided into five factions. 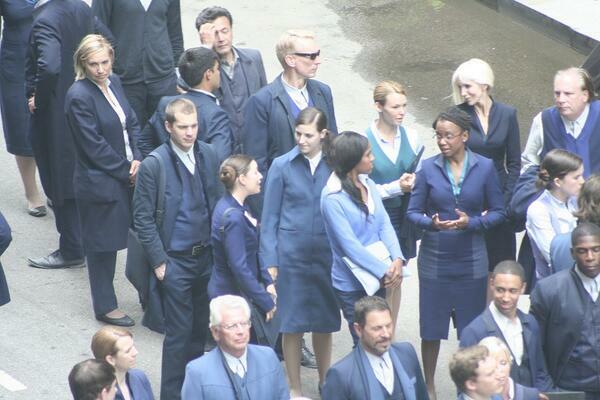 As the leader of the Erudite, or intelligent group, Jeanine is also the story’s antagonist. Winslet’s character adopts a positively chilly demeanor when she meets hero Tris Prior (The Descendants’ Shailene Woodley) and her family in a scene depicting the day Tris will choose her faction. The role gives the Oscar winner (best actress for 2008’s The Reader) the opportunity to play her first screen villain. The pregnancy helped maintain the intimidation factor, since Winslet came into the shoot late. She used that distance from her co-stars to her advantage by keeping herself slightly aloof initially. Burger says Winslet is game for every aspect of the shoot, even volunteering to perform a small fall in her character’s fight scene. (He used a stunt double.) Wardrobe changes were needed to accommodate the pregnancy, and Winslet’s time on set is closely managed. Even the die-hard fans of the series, who have nitpicked about things such as Woodley’s hair color, have been “exploding with joy” with the news of Winslet’s casting, Roth says. Watching from the monitor, Roth feels Winslet even exceeds the hype. 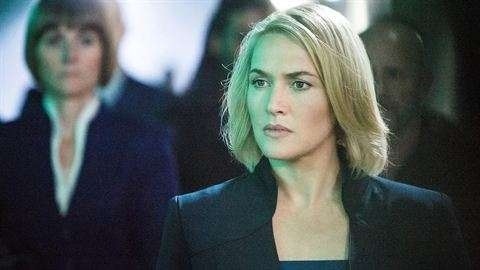 I don’t know about you, but I am loving the first look at Kate Winslet as Jeanine Matthews! What are your thoughts on The first look at Kate as Jeanine? Share in the comments below. 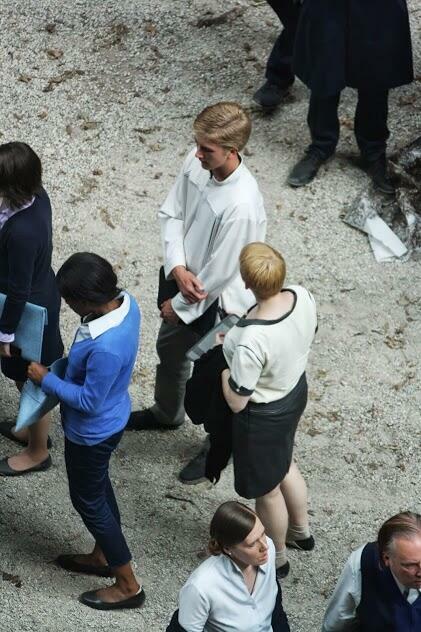 You can see Kate as Jeanine in Divergent in March 21st, 2014. Categories: Divergent, Divergent Movie, Jeanine, Kate Winslet, on Set | Tags: Divergent, divergent movie, Jeanine Matthews, Kate Winslet | Permalink. MTV behind the scenes video featuring interviews with Shailene Woodley, Theo James, Veronica Roth, Zoe Kravitz & Miles Teller! Yesterday MTV aired a behind the scenes look of their Divergent video. Josh Horowitz hosted the interviews. Theo James on the Divergent world: Sure the world is 60 years in the future. we assume there was some kind of pivotal war. as a result they had to adapt and create this new faction system. Shailene Woodley on Tris: The interesting thing about Tris is that she’s not a badass, she’s not a superhero, she’s not an action star. and i think that there is something really refreshing about bringing a very normal adolescent to life in a way where she has to rise to the occasion and find her brave heart and be really courageous in situations she doesn’t necessarily want to be. Miles Teller on Peter: What I like most about Peter is his whole spirit. I think he’s got great fashion sense. and honestly I really dig my hair. I think peter has got really cool hair. Theo James on Four: I think when you find Four he is extremely closed and damaged and learned to exist in this world the best way he can. he’s chosen not to be a leader.has been asked several times, he chooses to take a step back and as things change people start to die and things go wrong then he realizes that something needs to be done and some things need to be done. Shailene: I really love Theo. He’s very pure. Speaking of, here he is! Veronica Roth: The chemistry between them is also really strong so that was also really important. V Roth on differences from book to movie: What they’ve done is sort of change the order a little bit. I feel that they keep all of the most pivotal scenes and maybe wove them together in a different way so I’ve been pretty satisfied with what they’ve done so far. What do you guys think? Wasn’t this a great behind the scenes looks from MTV?! Categories: Divergent, Divergent Movie, Miles Teller, on Set, Shailene Woodley, Theo James, veronica roth, Zoe Kravitz | Tags: Divergent, divergent movie, Miles Teller, Mtv, shailene woodley, theo james, Veronica Roth, Zoe Kravitz | Permalink. 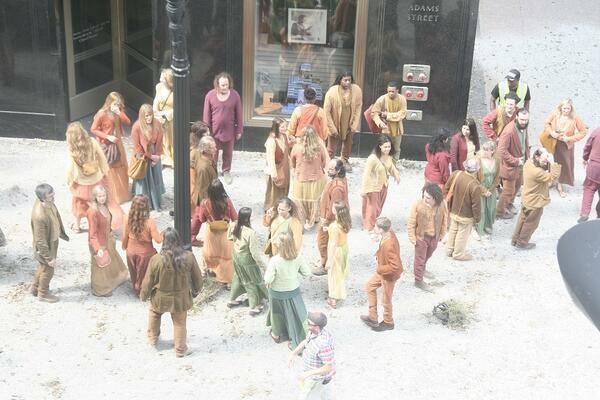 Tune into MTV tonight to see ‘DIVERGENT’ set visit coverage! The Divergent facebook page just let ys know that tonight at 8:15 PM ET MTV will air their Divergent set footage. Tune in tonight! MTV will air set visit coverage with the cast of DIVERGENT! The segment will air in New York, NY and Los Angeles, CA at 8:15PM ET. Check your local listings for channel information. 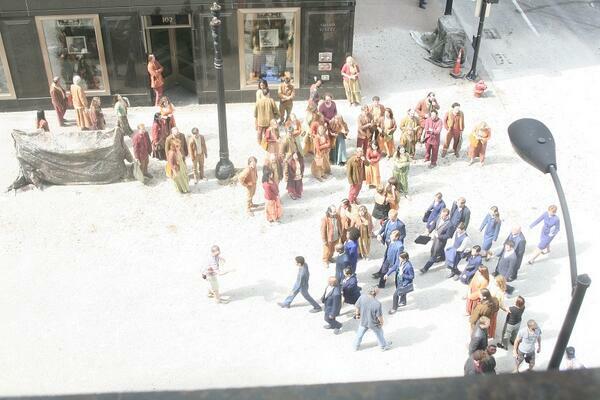 Categories: Divergent, Divergent Movie, on Set | Tags: Divergent, divergent movie, Divergent set, Mtv, on set | Permalink. 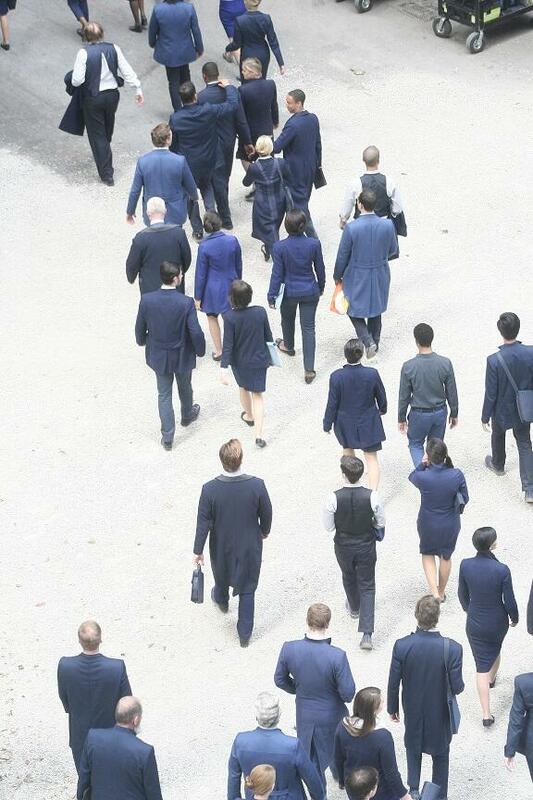 Yesterday Divergent filmed the cast entering the Choosing Ceremony. Thanks to @mamason0725 abd @AshMason15 for sharing their photos with us. The photos feature the Prior family, Tony Goldwyn, Ashley Judd, Shailene Woodley and Ansel Elgort as Andrew, Natalie, Beatrice and Caleb Prior. 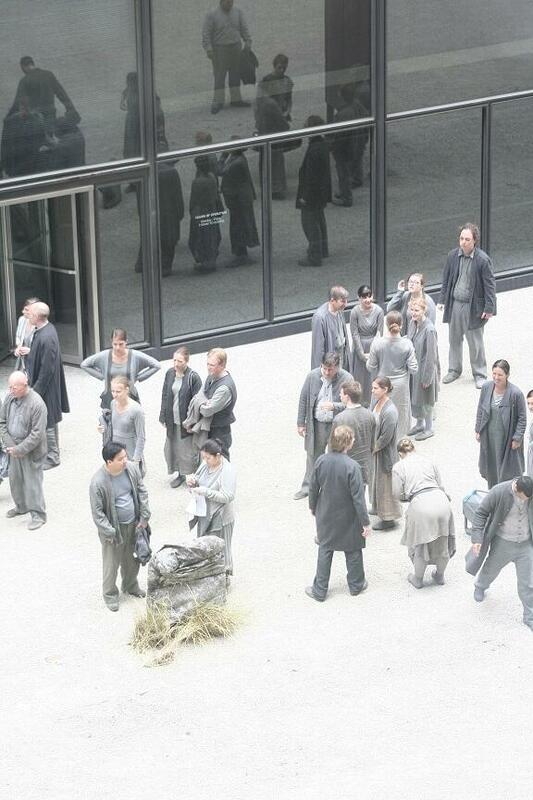 The pictures also contain the factions including Dauntless, Erudite, Candor, Amity, Abnegation and the Factionless. 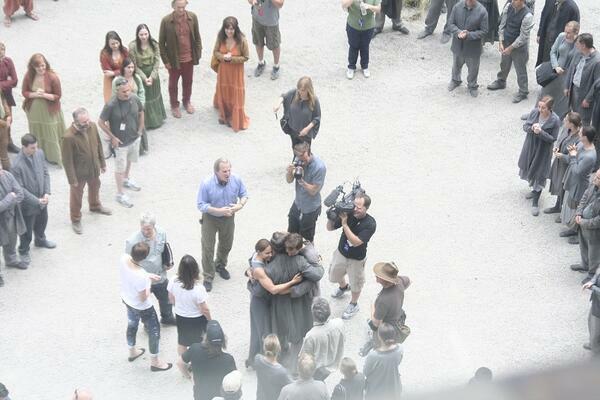 Categories: Abnegation, Amity, Andrew Prior, Ansel Elgort, Ashley Judd, Caleb Prior, Candor, Dauntless, Divergent, Divergent Movie, Erudite, Factions, Natalie Prior, on Set, Set Photos, Shailene Woodley, Tony Goldwyn, Tris Prior | Tags: abnegation, amity, Andrew Prior, Ansel elgort, Ashley Judd, Caleb Prior, candor, Dauntless, Divergent, divergent movie, Divergent set, erudite, fationless, Natalie Prior, set photos, shailene woodley, Tony Goldwyn, tris prior | Permalink.